Should I Get Cold Laser Treatment for Fat Reduction? Should I Get Cold Laser Treatment for Fat Reduction? Should I Get Cold Laser Treatment for Fat Reduction? A recent survey of 5,053 females found that 24 percent intended to have some kind of non-surgical cosmetic procedure in the near future. While cosmetic surgery is also on the rise, it’s becoming more and more mainstream for women to seek less-invasive treatments. These procedures include Botox, dermal fillers, and body contouring. Body contouring, or fat removal, used to only be possible through invasive procedures such as liposuction. These treatments are often painful and involve an extended recovery time of up to six weeks. But, new procedures such as cold laser treatment can help you transform your body without the pain and recovery time of liposuction. 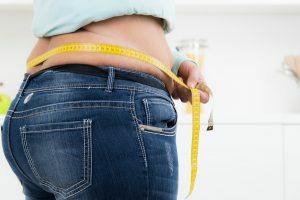 If you’ve got stubborn areas of fat that you can’t shift, read on to find out if cold laser treatment could be the best way for you to transform your body. What Is Cold Laser Treatment? Cold laser treatment was first tested in clinical trials in 2008. After repeated experimentation, researchers were sure that it was a safe and effective method of fat removal. It then became available to the general public in 2009. The procedure itself targets specific fat deposits on the body to sculpt and tone the area. It does this by applying cold lasers to ‘freeze’ the targeted area, a process which usually takes between 20 and 40 minutes. Unlike liposuction, which involves removing fat cells, most cold laser treatments stimulate and kill fat cells. The Verju cooling treatment is slightly different as it shrinks the fat cells rather than killing them, however, the result is the same. Cold laser body contouring then flushes the liquefied contents of the stimulated fat cells, and then releases it as a waste product. By eliminating fat cells in a non-evasive way, the treatment will help you lose inches and help to sculpt and tighten your body in the treated area. For most patients the procedure is completely painless and even relaxing. Although, for those with a very low pain threshold, there may be some discomfort. During the first 10 minutes of the procedure, the area will start to become numb. Following this initial period, you should feel reduced sensation in the area. During some methods, the doctor or his assistant will then massage the targeted area to increase the effectiveness of treatment. There are no known side effects as a result of removing fat through the cold laser method. The procedure also has no downtime, so patients should be able to continue their normal duties immediately after treatment. That said, blogger Monikh Dale reported some soreness following the procedure after she had the treatment on her hips. She advises booking the treatment later in the day and relaxing afterward. Depending on the specific cold laser method used, you may need to return for follow-up treatments to maximize results. Your doctor will advise you about the most effective treatment plan for you, but it could mean undergoing several procedures in quick succession. Some doctors recommend having the treatment three times a week for the first two weeks to see results. In addition, your doctor may advise you not to wait more than 72 hours between each of these treatments. This is to ensure that the liquefied fat is successfully passed through your system. With several methods of laser treatments available, it can vary how soon you will be able to see results. Some people report seeing results after around two weeks, and this is often the case with the Verju cold laser method. But generally, results are not visible for most people until around two to three months after the procedure. It’s important to consider that non-evasive procedures like cold laser fat removal will not give you the extreme fat reduction of liposuction. A more realistic expectation is a 25 percent reduction in fat in the area. Is Cold Laser Treatment Right For Me? Non-invasive fat removal procedures are designed to sculpt and tone your body rather than offer the dramatic changes associated with invasive procedures such as liposuction. Accordingly, cold laser treatment would not be suitable for you if you have 20 pounds or more to lose. This treatment aims to reduce and remove stubborn areas of fat on the waist, hips, and thighs only. It is not yet available for fat removal on the face, arms or neck. If, for example, you would like to reduce upper arm fat, this method would not be suitable for you. This may change in the future with constant advances in the field. But, at present, you would need to find another method to sculpt that particular part of your body. As with any procedure, you would need to be in good health to undergo the cold laser method. Your doctor will ask you about your medical history and current conditions before he or she agrees to go ahead with the procedure. Contraindications include those with heart problems or skin conditions, as well as those who take certain medications. The procedure is most suitable for those who are active and live a healthy lifestyle, but who want to tone up certain areas. It’s common for even the fittest, healthiest people to be unable to shift stubborn areas of fat on certain parts of their body. If that sounds like you then cold laser treatment could be just what you need to sculpt and shape your body. However, if you are inactive and don’t maintain a healthy lifestyle then you are unlikely to see results. Now you know exactly what the procedure involves and what to expect, you need to consider whether it is the best treatment for you. Are you thinking about having cold laser treatment? Leave a comment below or contact us for more information about a range body sculpting treatments.